The Toronto Star newspaper has today (October 25, 2008) published an editorial titled “Twilight of the Oracles”. It takes aim at Alan Greenspan. It focuses on a quotation from Greenspan’s testimony in which he allegedly (I didn’t watch or hear the testimony) said “free markets did break down”. 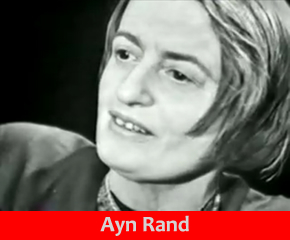 And then it does the all too easy: it mentions that Ayn Rand, author of Atlas Shrugged, “impressed” him with statements like “”The only way a government can be of service to national prosperity is by keeping its hands off.” It then proceeds to call that a “counsel of neglect”, and condemn’s Rand’s views as “a cruel joke to millions losing jobs and homes”. Thusly, the Star gave us all a solid example of how dishonesty is inherent in socialism and its proponents. Accordingly, I wrote the following letter to the editor. I publish it here, fully expecting the Star not to publish it. I nonetheless encourage you to write a letter to the editor of the Toronto Star ( lettertoed@thestar.ca ) in response to its smearing of Ayn Rand and laissez faire capitalism. Alan Greenspan’s primary role, as head of the federal reserve, was to regulate the rate at which the supply of American dollars grew. With Greenspan at the helm, the government intervened in the economy. That government intervention facilitated and encouraged easy credit, bad loans, and bankruptcies. Such government intervention, together with the added intervention of bailing-out banks with taxpayer earnings, is all contrary to the laissez-faire capitalism that Ayn Rand, the author of Atlas Shrugged, impressed upon Greenspan in his youth. Condemning Greenspan and government intervention for the hardship now being felt by many is fair game. Condemning Ayn Rand and anti-interventionist admonitions is not. Were she alive today, her words would be “I told you so“. Welcome To Planet Earth Mr. Greenspan. And How Was Your Stay On Planet Rand…? I’ve been following along with you for quite some time now, first took notice at SOLO of all places. And here you were, just a few hundred miles away. Keep up the good work. I definitely enjoy your video drives. Anyway, here’s my note to the editor on the Greenspan / Rand comparisons. I’ll keep checking in and try to contribute whenever I can. Hope it helps. Certainly you jest. This is a classic “package deal”, exactly what Ayn Rand herself points to on so many occasions in that enlightening way of hers. Alan Greenspan, over the years and for whatever reasons, became as far removed from the ideal of laissez faire capitalism and its proponents (Rand in particular) as could be deemed humanly possible. This guy had a major meltdown along the way. Ayn Rand remained consistent in her convictions to her dying breath. Shame on you. Thanks…and thank-you for writing to the Star. It’s nice to know about another ally in Canada. Way to go Paul. On the positive side: these are times where capitalist convictions are reinforced I think. Once more ”capitalism takes the blame”. And the cocktail is really easy to make: a bit of worry, a bit of envy, a bit (loads) of ignorance-shake well-and consume. It’s amazing how also here in Europe mainstream media, gloriously succeeds to ‘forget’ informing people of the government’s role and cause in the recession. Instead the focus is on the ‘extravagant incentives’ of the greedy selfish CEO’s. And if that is not convincing enough it’s the ”speculators and short sellers” ruining ”otherwise sound companies” How? Well, ehm…somehow!! I’m playing with the idea of founding a ‘Freedom Party Italy’ here!!! Update: I received a phone call from the Toronto Star, which informed me that my letter may indeed get published within the next day or three. Since 1980 or so, Greenspan steadily betrayed the principles he once learned as a disciple of Rand’s. Rand did not believe in central banking, but in the classical gold standard. She did not believe in government subsidised credit. The mess in the USA can be blamed entirely on the American state’s coddling of lending to buy a home. Everybody in the mortgage business came to expect that the taxpayer would bear most of the downside risk. Fannie and Freddie could not buy mortgages issued to poor families, but they held about 20-25% of the mortgage backed paper issued by Wall Street firms. because S&P and Moody’s gave it an A rating. Also Fannie and Freddie were holding a lot of the securities that proved disastrous. Finally, investors thought that the US government would back any serious downside risk, because the whole edifice was promoting homeownership among the underclass, and everybody assumed that the Bush and Clinton admins wanted very much to advance that. This was not cowboy capitalism, but crony capitalism. The privatisation of gains, and the hoped-for socialisation of losses. The consciences of thousands of key players were anesthetised by huge yearend bonuses, with no mechanism for clawing them back should the firm go down the tube. So everybody milked the cow, and nobody worried about keeping it alive. The cow died suddenly, and there’s spilt milk everywhere. The corpse smells, and the dairy industry is idle. We’ll get over it eventually. will have no choice but to rent.